In AD 991 Aetheric, Lord of the Manor of Bocking, was amongst those who led men to fight the Vikings at the Battle of Maldon. 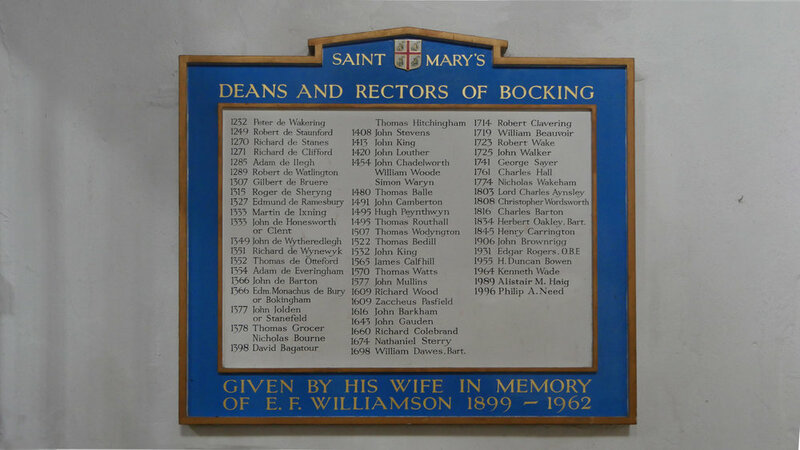 The East Saxon army was defeated; but Aetheric survived until 995 and willed his lands at Bocking to Christ Church Canterbury, this became effective following his wife Leofwine's death in 1006. A consequence of this is that Bocking Church, built on these lands, has enjoyed a long and interesting relationship with Lambeth Palace and successive Archbishops of Canterbury and is know as one the Archbishops 'Peculiar' parishes. The Church has been rebuilt many times since Aetherics day. It is a late Gothic or perpendicular building, dating mainly from the 15th and 16th Centuries, though much restored in the 19th Century. It is a fine large Church of flint rubble with limestone dressings to openings and quoins. The oldest part is perhaps the South Door which has exceptional and elaborate wrought iron work and is though to have been made in the late 13th Century. 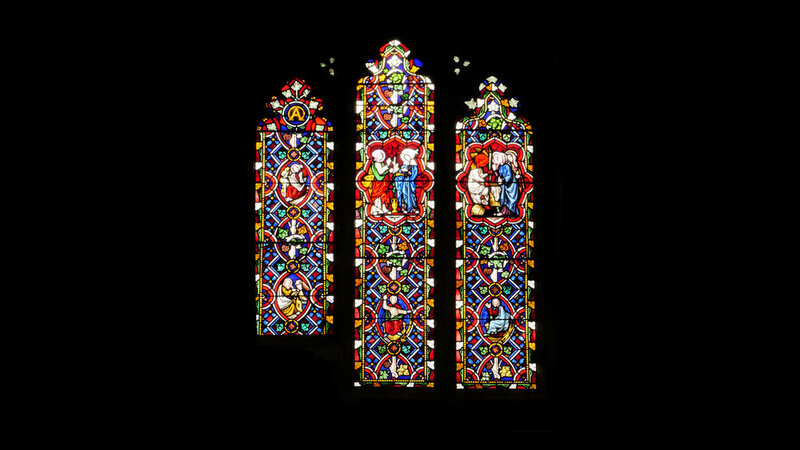 A little 11th Century work survives in the form of Windows retained in the later rebuilding. 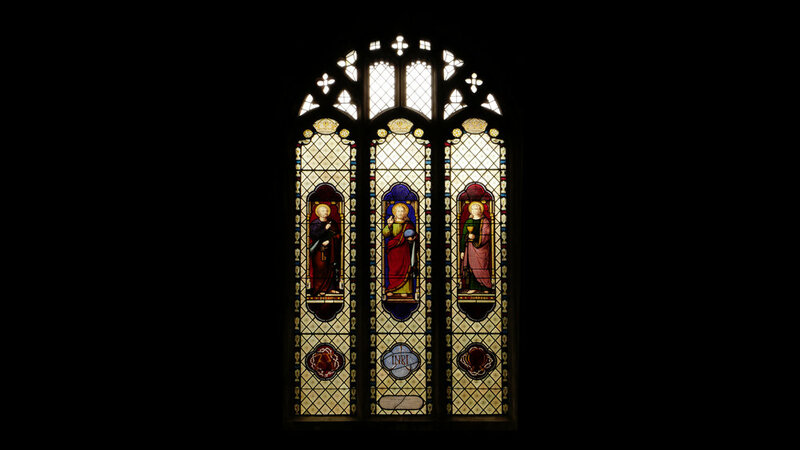 Dedicated to St. Katherine and St. Nicholas are used for weekday services, Children's work and private prayer. In front of St. Katherines Chapel lies the brass to John Doreward, twice Speaker of the House of Commons whom also fought the battle of Agincourt in 1415. It is unusual for an Essex Parish Church to be blessed with Chapels and vital that we keep them in good repair. Is one of the glories of this fine Church which we are inviting you to help restore. Giving a fine space for music and worship the design of the Chancel lifts the eye and the mind to the things which are above. 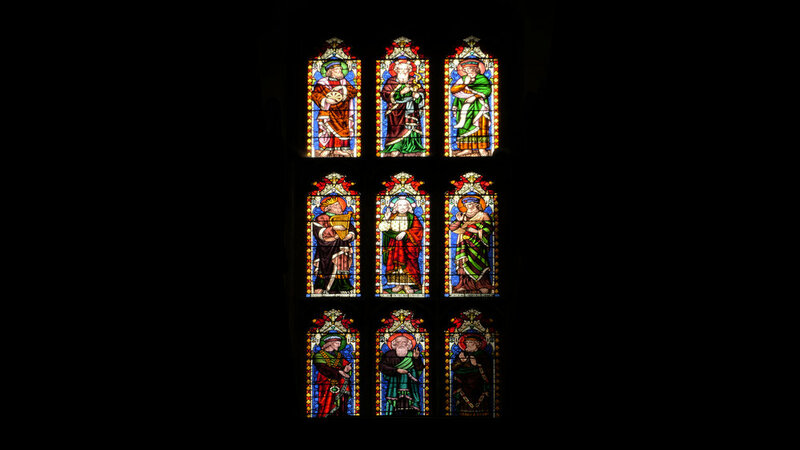 The Reredos and East Window were presented by Samuel and George Courtauld respectively. Of the screen the central portion was erected in 1910 but the north section and the rood were added in 1950 and the south section in 1955. The lateral screens, the roods and also the Majesta (at the west end of the Church also 1950) are the work of Sir Ninian Comper. On the step entering the sanctuary, possibly the only nameless inscription in England. This commemorates a former dean, Richard Colebrand (d.1674) a Chaplain to Charles II. In the choir, a brass to Oswald Fitch (died 1612) the last of the Doreward kin. On the floor before the South Chapel, a brass of 1420 to John Doreward and Isabella Baynard of Messing, his young second wife. Some research has been undertaken on the names featured on the Great War Memorial, which can viewed here on its own dedicated page. 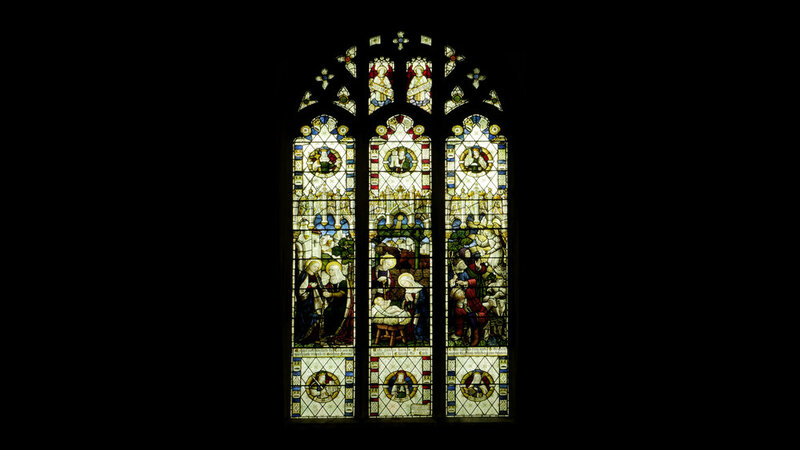 The Millennium Window in the North Aisle which was dedicated on Sunday 4th May 2008 depicts the Saviour of the World with St Peter and St John. 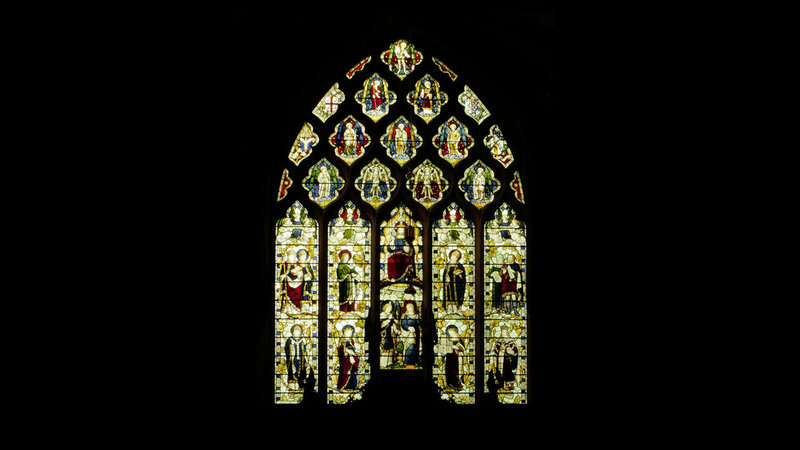 It has been created using glass dating from about 1848 and originally placed in St John’s Bristol. 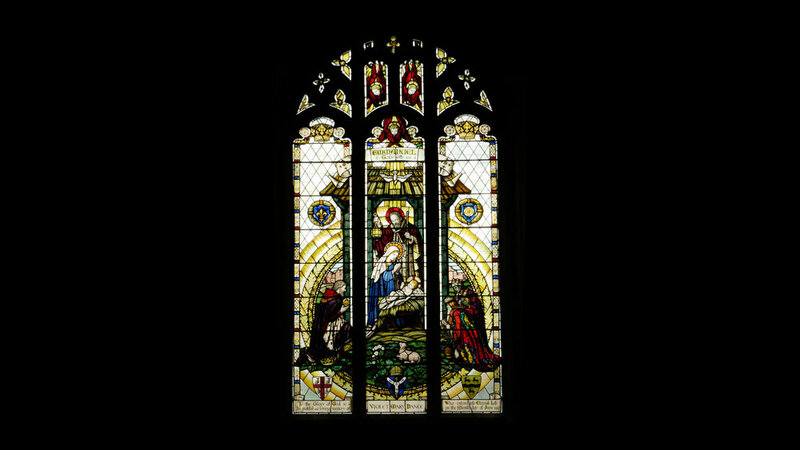 It was saved by the London Stained Glass Repository and worked into a special design for St Mary’s Bocking by David Sear of the Lincolnshire Stained Glass Studio to mark one thousand years of worship on this site and the completion of our recent programme of restoration and repair.